Celebrating over 25 years of service! 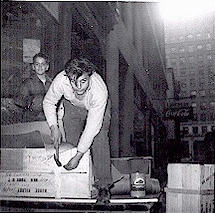 In 2003 D&B Packing celebrated its 25th year anniversary. For 25 years we have served the New York tri-State area with excellent service. Starting with the original operations building in 1940, to our facility today, still located in the New York Tri-State area. Our commitment to excellent stems back some 70 years. Our Commitment To Excellent Service Goes Back To 1935! 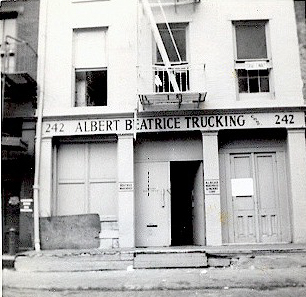 The Beatrice Families Packing Experience stems back to 1935 when Albert Beatrice Sr. owned and operated Albert Beatrice Trucking Corp., located on the lower east side of Manhattan, now known as the South Street Sea Port area. Back then Al Sr. Began a legacy of giving the kind of excellent service that we are all proud of today, That excellent service still lives today and we strive to continue that legacy. 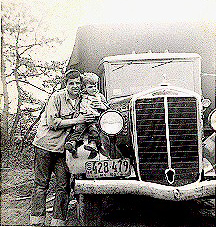 Albert Beatrice Sr. with his son on one of the companies trucks back in the early years shows how our family commitment runs all the way back! Our commitment stays the same, making sure we continue to give the excellent service that our family and clients have come to know. We thank you our loyal customers for our success and your friendship throughout the years and we look forward to brining you our service well into the next century.